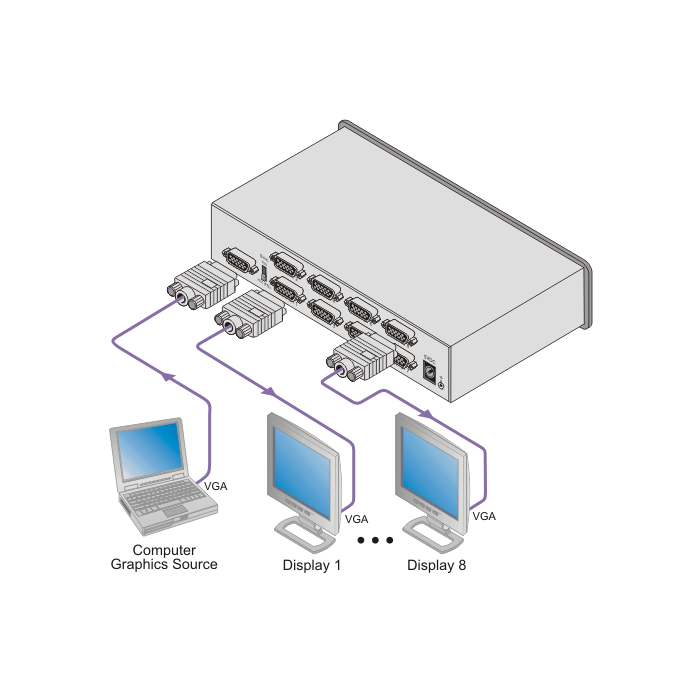 The VP-8K is a high-performance distribution amplifier for computer graphics video signals with resolutions up to and exceeding UXGA. It takes one input, provides correct buffering and isolation, and distributes the signal to eight identical outputs. High Bandwidth - 370MHz (-3dB). Selectable Sync Input Impedance - 75Ω (video), 510Ω (Graphics/TTL). Kr-isp Advanced Sync Processing - Ensures compatibility with a wide range of computers (even if the sync level is too low) by restoring the sync signal waveform. Kr-isp advanced sync processing can be enabled or disabled.